Our unique AI platform provides - personal wellness profile using life event relevant self-assessments, self-care tools for mind wellness and when needed graded support though professionals. Wellness solutions for pregnant women, home makers and working women to relieve from stress, live happier, healthier and fuller life. Wellness solutions to help reduce impact of unmanaged stress on health, relationships and performance. Helps boost stress resilience and live a fuller-life. Happy Being App is your personal wellness coach. Maintaining an optimal level of wellness is absolutely crucial to living a higher quality of life. Wellness matters. Wellness matters because everything we do and every emotion we feel relates to our well-being. In turn, our well-being directly affects our actions and emotions. It’s an ongoing circle. Therefore, it is important for everyone to achieve optimal wellness in order to subdue stress, reduce the risk of illness and ensure positive interactions. 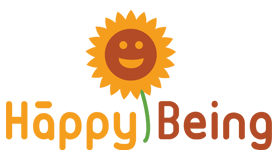 Happy Being brings personalised and practical 10 to 15 minutes of guided activities each day based on mindfulness, meditation and gratitude to bring happiness, peace and success in your daily life. In next 14 days, feel healthier, happier and start achieving more. Install Happy Being App for FREE, now. nSmiles is helping students, employees and home-makers get happier, healthier and live a fuller life. Our mission is to help people manage stress & anxiety effectively, create loving relationships and career success by nurturing their wellness of mind. In a world with alarmingly growing mental health conditions, taking care of your mind becomes that much more important. At nSmiles, we aim to create awareness of the need to take care of the mind and provide practical tools to do so. We combine insights from the latest research in Psychology and the best of technology to create mind wellness solutions that are evidence-based, affordable and easy-to-use. By this, we hope more people will take the time to care for their minds, helping create a healthier, happier society. 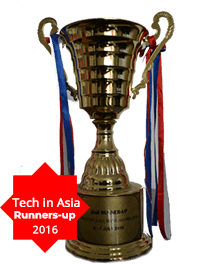 nSmiles' passionate team for its high social impact and innovative products has won several awards and recognition including Global Startup Battle 2014 among participants across 137 countries and at Tech in Asia 2016. "If one gets to install the app, Thank God! Some one came up with such idea of promoting Healthy Living! with well designed app. Kudos to the nSmiles and their team." "Very nice, motivated n stress relief app"
"Happy Being is an outstanding free self-improvement app for Android that is easily personalised to fit your needs and goals." "Great download now App is great I don't know how it does it but the first time I got on it I was happy for I can't remember how long but a long time if you have depression problems or anger problems I suggest that you download this app it will help." "nSmiles joyful pregnancy program made my pregnancy as joyful as it can ever be. I initially had doubts when my husband asked me to enroll into the program as I was too busy with work and managing myself. The program highlighted optimizing the body and mind care which played a major role during my pregnancy. I delivered a healthy baby with birth weight 3.4Kg and he is 3 months old." "What a brilliant app a great all rounder for an uplift to your day... plus it's a little world I can go to where positivity and my own personal cheering squad!" "This is to record my deepest gratitude to nSmiles team, for the interaction you had with my daughter and for the suggestions, tips you have given her and for the exercises you have taught her to overcome her stress."